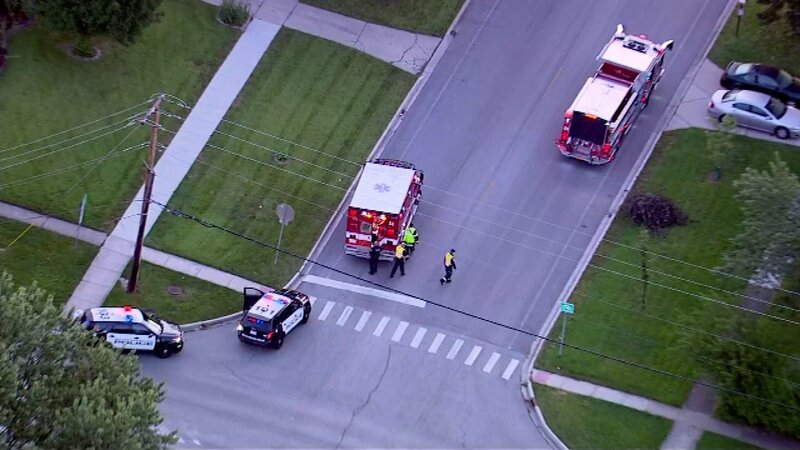 SCHAUMBURG, Ill. (WLS) -- A 13-year-old girl was hit by a vehicle Wednesday morning in northwest suburban Schaumburg, police said. Officers received a 911 call just after 6:20 a.m. about a child injured in a hit-and-run at the intersection of Springinsguth Road and Weathersfield Way. She was struck by a "black sedan" in the crosswalk, police said. The driver, believed to be a man in his 50s, stopped momentarily. After he saw the girl get up and walk out of the street, he sped away, police said. Chopper 7HD was over the scene just after 6:30 a.m., as paramedics put her in an ambulance. The teen was transported to St. Alexius Medical Center. Police said she is expected to be OK. Her injuries were not life-threatening. Investigators are searching for the hit-and-run driver.